Corn chip feet, otherwise known as “Frito Feet” or “Fri-Toes” (pronounced “free-toes”), is that weird smell your dogs paws are giving off. But just what is that familiar smell? It certainly isn’t corn chips… it’s something a bit more… well, corny. We’ve been voted the Best Doggie Daycare in Minnesota 2018! Thanks to our clients and their owners for helping bring about this rewarding experience. Come celebrate with Dog Day Getaway! 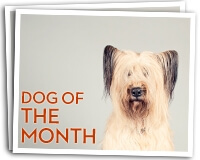 These 2 lovely ladies are our wonderful Dogs of the Month for May 2018 at Dog Day Getaway, we absolutely adore these girls and know you will too! Cleaning up after your dog isn’t really a difficult task. But by neglecting to remove dog waste increases health threats at parks (especially dog parks), playgrounds and even your own backyard. Parasites, such as hookworms and roundworms, may be found in animal waste and could very possibly transmitted to other dogs and to people.